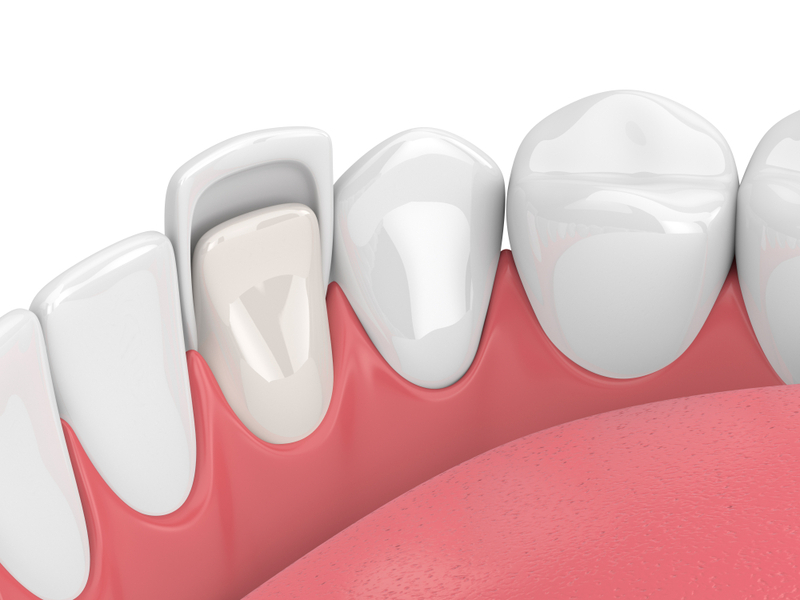 Because veneers are custom-made, they require two appointments to place. At the first appointment, the teeth are slightly reduced and shaped to prepare them for the veneer. Local anesthetic may be used prior to this shaping. An impression is made of the prepared teeth, and a mold is sent to the dental lab. Temporary veneers are placed on the prepared teeth until the permanent veneers are ready. When the dental lab has finished creating the veneers, the veneers are placed on the prepared teeth using a strong dental adhesive. A high-intensity light is used to set the adhesive and permanently bond the veneers to the teeth. With proper care, veneers can last up to fifteen years. Are You Ready To Start Smiling?